Navid Jallali was looking for a site to better portray him and his practice on the web. 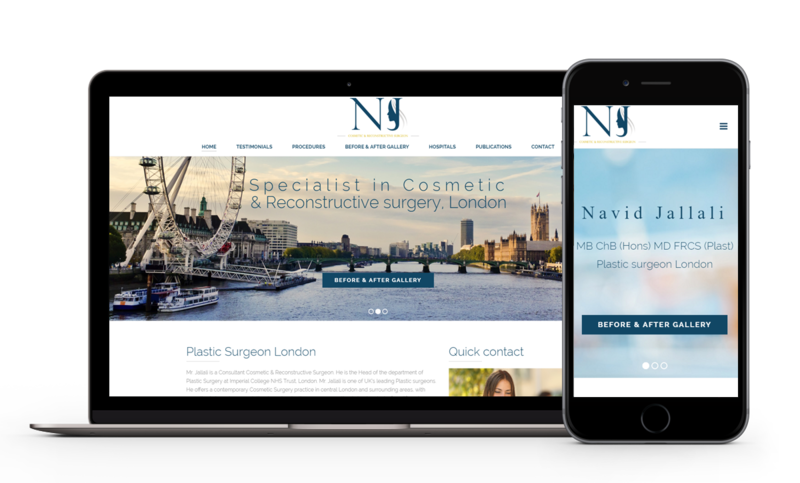 With the nature of the practice it was very important that the design was simple and easy to navigate across all platforms. Also providing informative information throughout the site and always attracting users to get in touch was ensured. We also installed a new gallery to display before and after photos of Navid’s patients which was simple and easy to update.